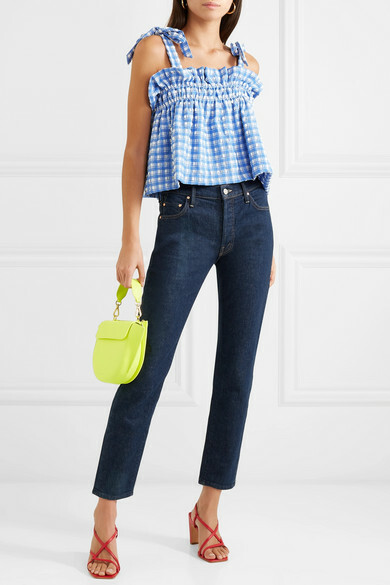 There's something about gingham that looks so right by the sea, which is why we'll be packing GANNI's cropped top for every sunny getaway. 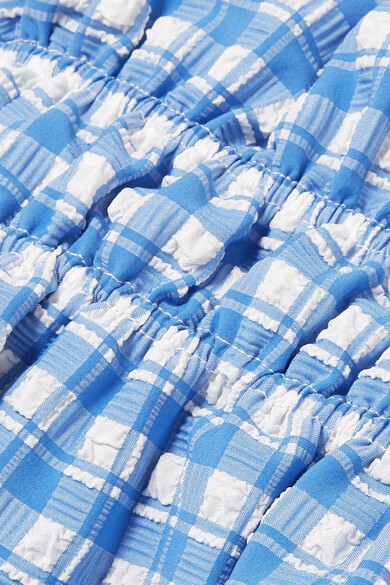 It's made from seersucker with a pretty ruffled neckline and tie-fastening straps. Wear it to the beach with the matching bikini or swimsuit, swapping for jeans and sandals when you're back in the city. Shown here with: Mother Jeans, Wandler Shoulder bag, BY FAR Sandals, Dinosaur Designs Earrings.